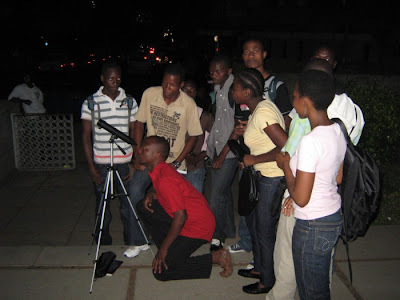 The Astronomical Association of Jamaica participated in the Research Day Expo of the University of the West Indies Mona Campus Lasting two days Thursday 28th to Friday 29th of January 09. 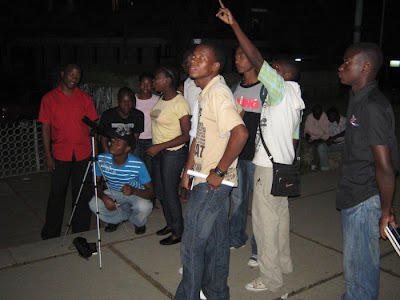 This of necessity caused us to set our Mars BWB event to Saturday 30th Jan. Our main theme for the expo was The Galileoscopes to be Given to 400 Schools in Jamaica and we Registered Many new Members of the AAJ . 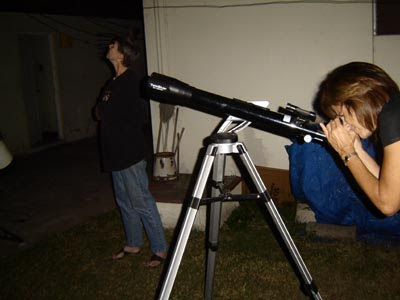 We invited a number of Persons to attend our Viewing Session of Mars But due to the heavy cloud cover many did not come or left early. 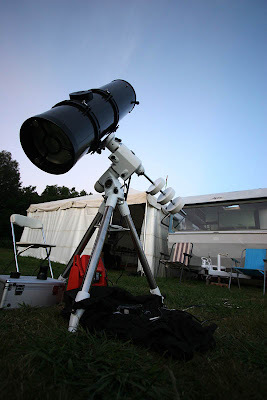 At 8.00PM the sky Started to Clear and we ended up with about 9 viewers. 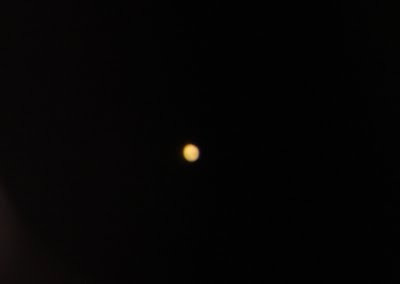 among them 4 teens who were overwhelmed with excitement so we viewed Mars and took Pictures through the eyepiece and the Kids were very Proud of this. 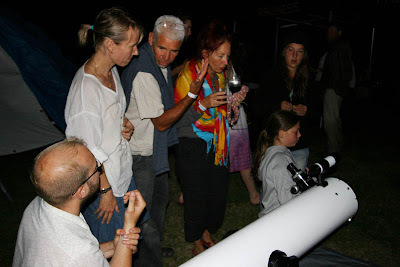 We did not forget our Galileoscope and as you can see in the Pictures .042JPG.some were looking at Mars But Of course although we saw the White caps in The 8" Newtonian Reflector the smaller scope could not do it Justice. 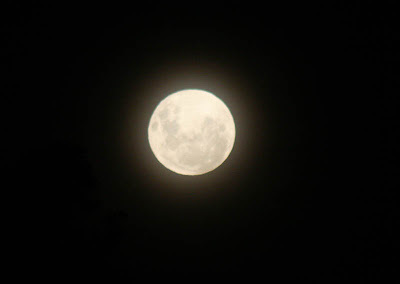 The Moon Just the two days after Full still presented a formidable sight and was bulging out of the scopes even at low power. 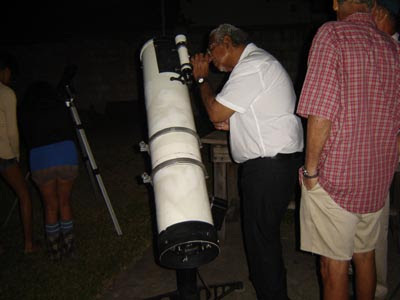 An observational program was arranged by Nepal Astronomical Society (NASO) on the premises of H.B. complex, Lalitpur on 29th January, 201o from 6:30pm to 9:00pm. 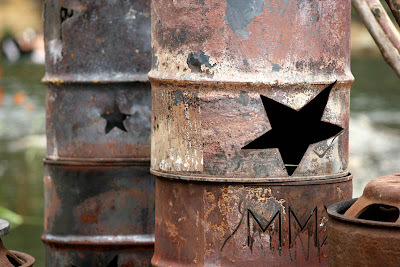 The date was chosen as the opposition of Mars. 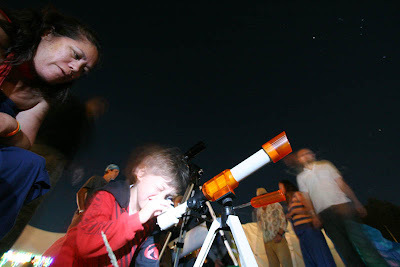 A part from the beauty of Mars, people also enjoyed the marvelous moon, Orion nebula, Pleiades and other celestial bodies. Overall, "Hello Red Planet" in Nepal was a success. 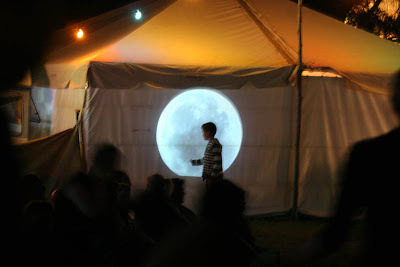 We had a Blue Full moon rise with conjunction of Mars, and we projected that image up on to a tent wall, in front of the ecofest crowd, while the bands were playing. 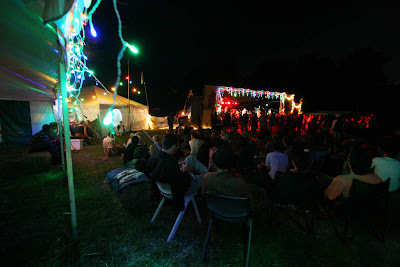 It was an Organic River Festival we attended, at Levin, 100km north of our capital city. 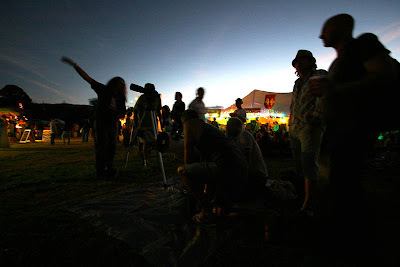 It was organized by myself, Ron Fisher and Mike White, all of us from Levin Stargazers. On January 26, 2010 from 6:00-8:00 PM I held a BWB-Hello Red Planet event in the parking lot of a small strip mall in Cornish, Maine. The weather was brutally cold (with the wind chill it was about -29--30 degrees F). 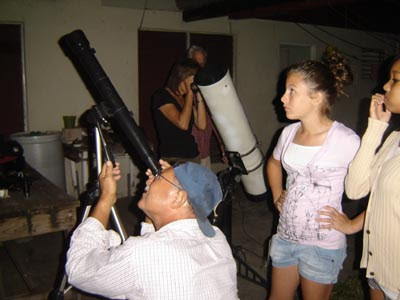 Even so, about 20 people and kids stopped by to look at Jupiter, Mars, the moon, and the Orion Nebula. 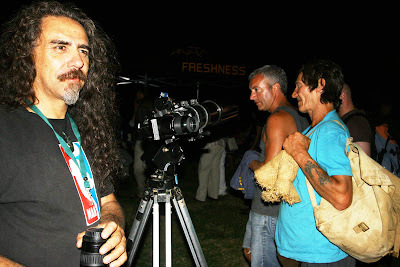 They were not dressed for the cold weather, so they shivered and shook, but they did look through the telescope. 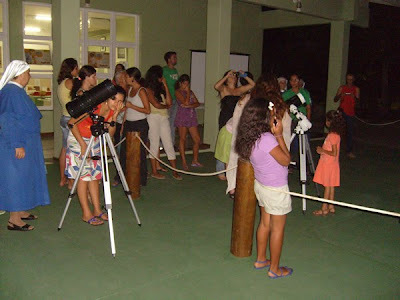 One little girl said that she LOVES astronomy and wants to be an astronomer. Yeah! After 2 hours, there weren't many people, so I packed up and came home to thaw out. I did a second BWB event on Saturday, Jan. 30th at the same strip mall in Cornish, Maine. This time the weather was a little warmer. It was 10 degrees F. The event began at 5:30 pm and ended at 8:00 pm. 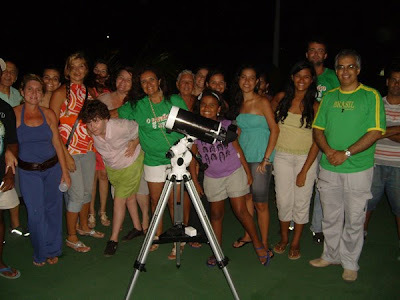 About 18 people came out to look through the telescope. One amazing thing happened. 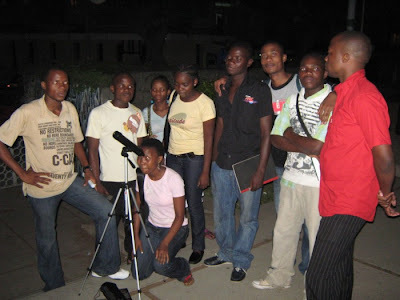 I had invited 2 missionaries to come to observe that night. 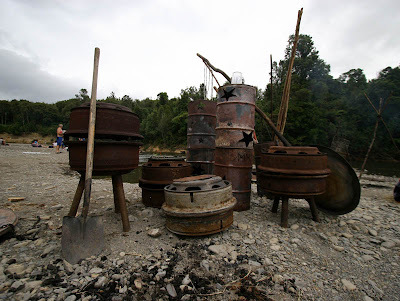 However, they didn't have use of a car that night, so they walked 4 miles in the dark that very cold night to look through the telescope and to try to get other people in the area to come look. That is dedication! haha. 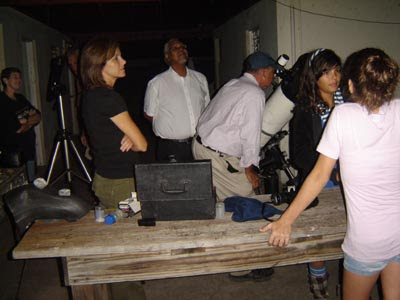 Several people who stopped to observe were very excited about looking through the telescope for the first time. One person asked me to come give a talk at his school. It was a very satisfying and fun time, even though it took a while to warm up. We are having bad weather here in Mozambique. 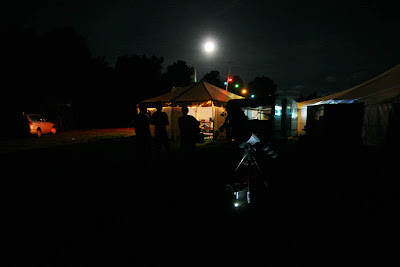 On the 26th we had a radio program program in which we spoke about Mars. It was around 18:00 to 18:30. 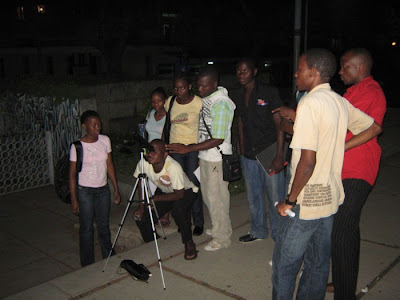 After that we had some observational moments in one Secondary School and a Public Space (Catholic Church) between 19:00 and 20:30 26 of January was a good day. 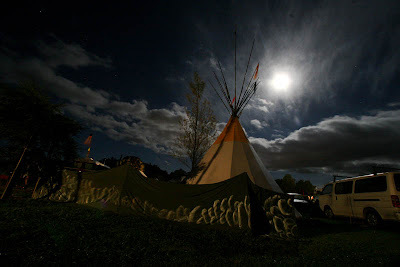 Since 27 we are having rain and cloud sky. We will be waiting for good sky. 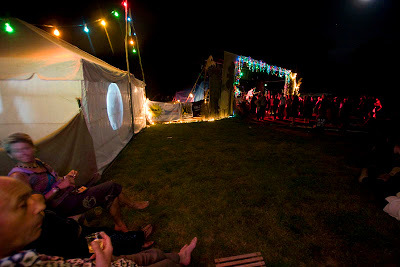 Click here to see the photos of the event. 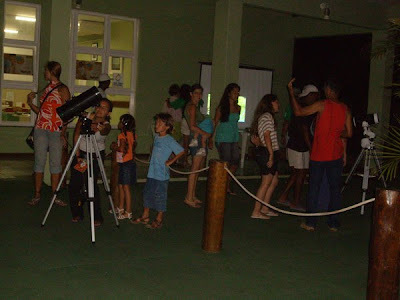 In January 27th, during the Mars closest approach, the Louis Cruls Astronomy Club team organized an event in the Science Center of the city of São João da Barra (Rio de Janeiro State). More than 50 people participated. 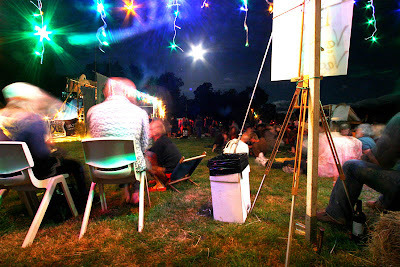 In our blog many images are available, click here. 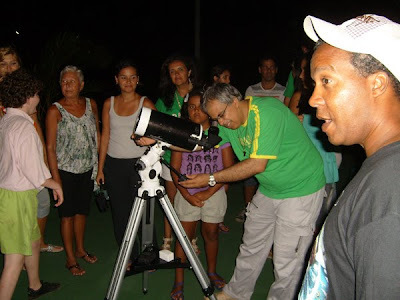 Video produced by the program "Balanço Geral" (TV Record - RJ - Brazil)about the Mars Observation organized by the Louis Cruls Astronomy Club Team in January 27th in the Science Center of São João..
Beauty Without Borders(BWB) is a project of Astronomers Without Borders and Sidewalk Astronomers. 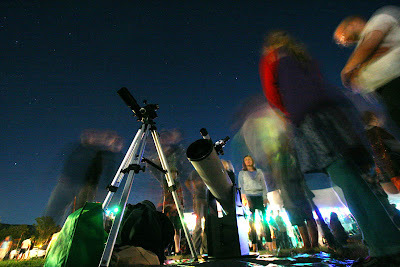 Through BWB, we hope to share the beauty of the celestial events.